3TT: X-treme Feedback: How Far Will You Go? After serving as a Peace Corps teacher in Malawi, I started Village X Org to answer three nagging questions about people living in poverty: What do they want? Why do they want it? What impacts flow from empowering them directly? It seemed counterintuitive that the poorest people on the planet lacked ownership over their development aspirations. It still does. Village X Org is a humble financier. We partner directly with villages, crowdfund their development priorities, and rigorously measure results. Since 2015, we’ve raised $85,000 for 22 projects, joining over $4,000 raised by villages. Projects cost half the NGO price, and villages complete them within one month of funding. 30,000 people in Malawi now enjoy communities improved by clean water, goat herds, nursery schools, teacher houses, and agricultural inputs. Stay tuned for our reports being published soon! Yet, it hasn’t been easy. Having never lived in a village, most Americans cling to a false narrative that Africans are corrupt and incompetent. It’s hard to convince them that we should heed our limitations as outsiders and leverage a wealth of local capacity to foster development faster, less expensively, and more sustainably than the status quo. It seems crazy to flip the paradigm: communities do the teaching and we do the learning. Only then do we share our findings with other development actors. In our view, crazy is good. Cash is king. Most NGOs fail to recognize the single most important indicator of feedback — whether target populations invest cash for interventions. Cash is the true international language. It hurts to part with cash, while in-kind contributions are painless to provide and easy to manipulate. When NGOs don’t require a local cash investment, they commandeer the problems of others and muffle local voices. Talk is cheap. Feedback comes in many forms, but actions speak much louder than words. Surveys and interviews are notoriously unreliable, and locals often won’t tell you what you’re doing wrong without having skin in the game (i.e., cash). Feedback also runs both ways. We find that committing to one cash transfer per year for 10 years fosters mutual respect between us and the villages, and discourages corruption. Control is overrated. We bet on the capacity of rural villages to solve local problems. Villages are places on a map that we can visit and track, complete with intact leadership structures and intense interpersonal accountability. They teem with capable people who alone possess a complete understanding of what’s not only technically achievable, but culturally, politically, and financially feasible. Treating them as valued stakeholders possessing the dignity of choice is not only more effective, it’s much more scalable. Boreholes we finance sit at the center of villages, not in inconvenient yet conspicuous places chosen by politicians. Empowered with investment, villages illuminate development pathways obscured from the outside. Goat herds finance girls’ education and nursery schools help boost agricultural yields. We’ve learned a sobering lesson: villages need our financing more than our ideas. The world teeters on the edge of a development revolution, facilitated by technology penetration. Likoswe Village needed a nursery school and asked Village X Org for help. We raised and transferred about $1,800. With light oversight from our field officers, Likoswe received the transfer and, within a month, constructed the nursery school. We posted live picture updates of the project from start to finish. The school serves not only 69 kiddos in the morning, but teenagers seeking sexual and reproductive health education in the afternoon. Likoswe wants a goat herd next. Residents raised the required cash contribution. Who’s in? 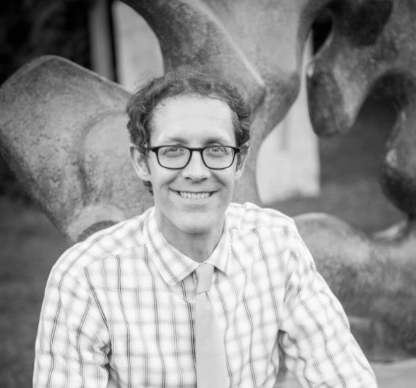 Michael Buckler is the CEO and General Counsel of Village X Org, a 501(c)(3) nonprofit that crowdfunds cash transfers for projects led and partially financed by communities in Malawi. 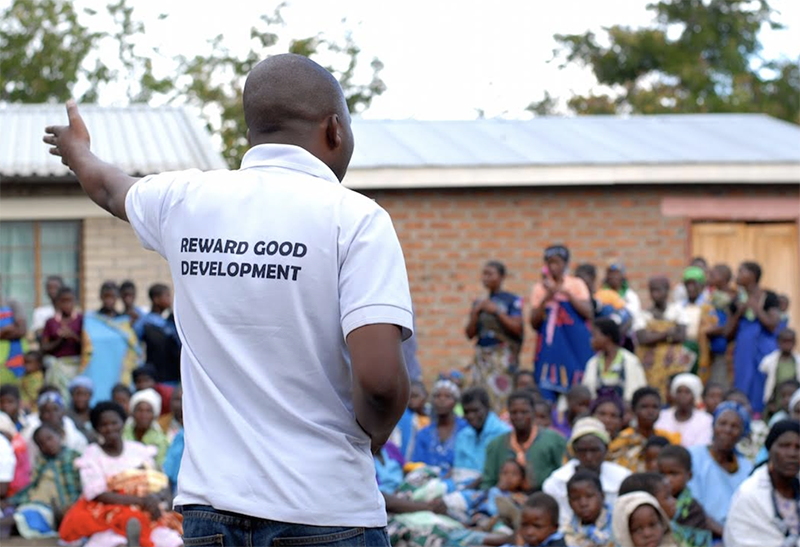 Before starting Village X Org in 2014, Michael worked as an intellectual property and international trade attorney and served as a Peace Corps teacher in Malawi. Michael is the author of From Microsoft to Malawi: Learning on the Front Lines as a Peace Corps Volunteer (Hamilton Books, 2010), articles related to international trade and litigation, and op-eds and blog posts on international development. He is currently pursuing a Master’s of Public Policy degree at the Woodrow Wilson School of Public and International Affairs at Princeton University. You can follow Village X Org on Twitter, Facebook, and Instagram. Count us in for $100 on the goat herd. I think we were in for $100 on the nursery school too. And tell Myson Jambo we said hello.